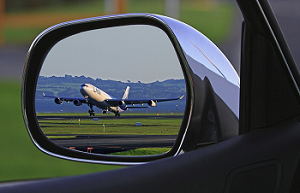 No matter if you're going to Mitchell Airport or to a Brewers Game, Airport Service Inc. will get you to your destination on time and in style! The only thing standing between you and affordable airport connection service is a simple phone call to Airport Service Milwaukee. Contact our Milwaukee airport shuttle service today for our entire selection of quality transportation services at a great, affordable price. For all your Milwaukee airport to airport transportation needs, choose Airport Service Milwaukee and receive low cost, fixed rate, luxury General Mitchell Airport shuttle service. Please fill out the above form to get in touch with one of our helpful customer service agents and see what Airport Service Inc. can do for you.